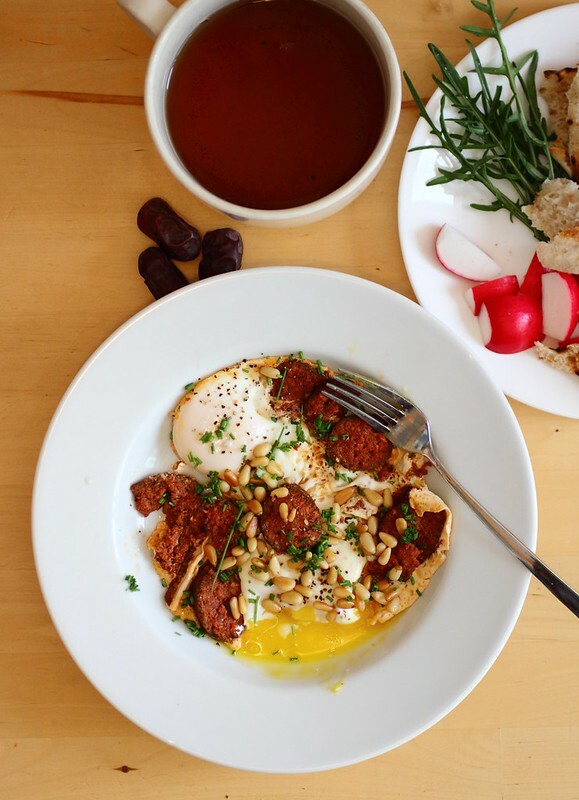 Nothing beats Arabic style eggs... It's amazing how few ingredients can come together and make such an amazing dish. 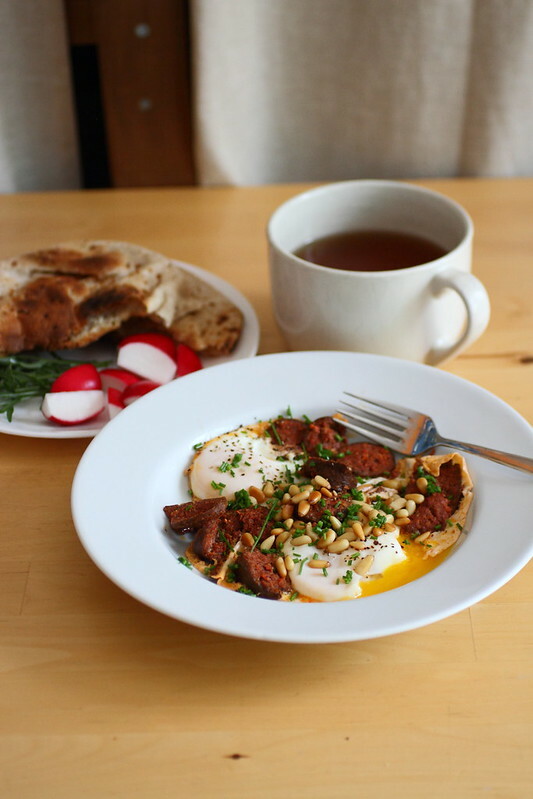 I had forgotten that there was a piece of sujouk in my freezer and of course eggs in the fridge, radishes in the crisper and wild arugula in my garden (It sprouted in my front garden and I transplanted it to the back herb container and now it's completely taken over!) Chives too from out back. 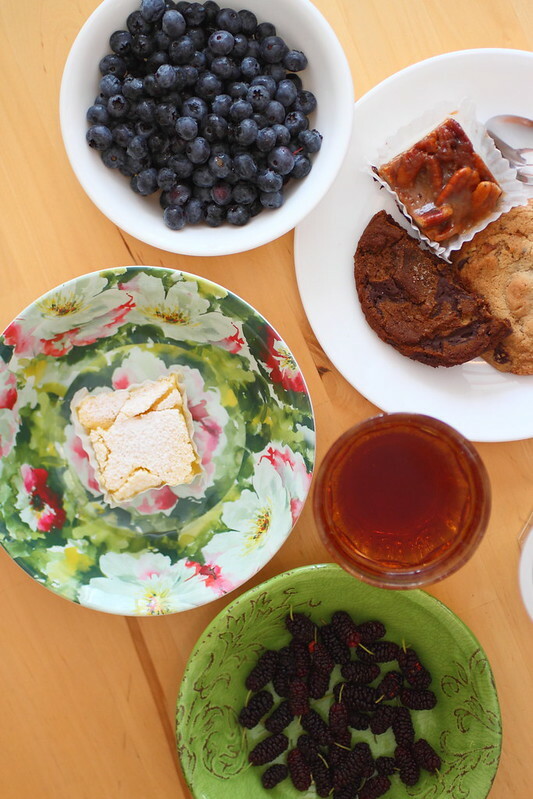 It's as easy as 1 2 3 and makes for a perfect breakfast, brunch, lunch or even dinner. I had a couple of toasted pine nuts in my fridge from garnished a recipe I made over a week ago of Lebanese stuffed zucchini so I sprinkled them over top and voila! Egyptian bread is always found in my freezer, that's the best place for it, goes straight into the freezer once it arrives from the store and stays perfectly fresh and all it needs is a quick warm up in the microwave of my new favourite way is to cut it in half and pop it into the toaster! In a small non stick pan sautee your sausage in the oil until the edges are crispy and it's browned nicely. Crack the eggs into the pan and let cook to desired doneness. Add a sprinkling of salt and black pepper and serve with sweet black tea and a plate of fresh herbs, olives and crusty fresh bread. 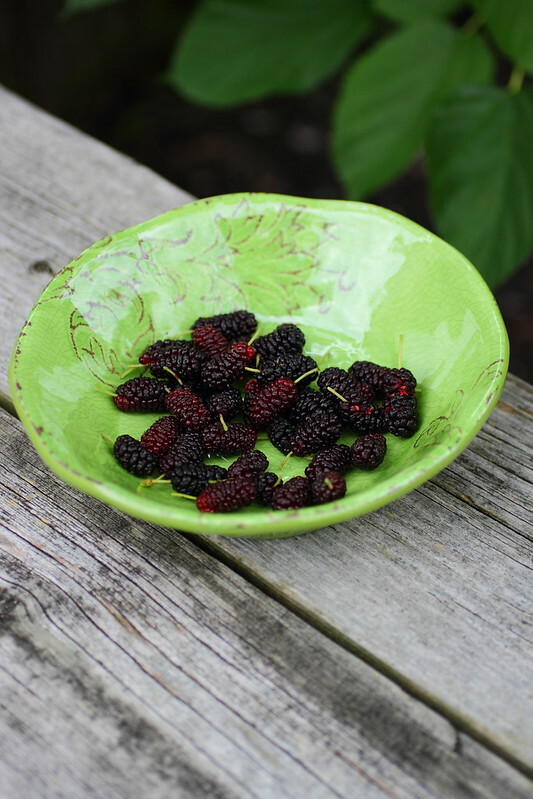 Delicious treats we had earlier this week and mulberries from my backyard!